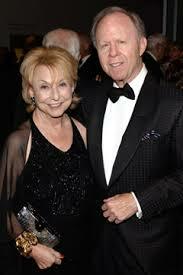 Bob and Dede Moss love Miami. As New Yorkers, when they found themselves looking for a second home they picked Miami. Nearly two decades later, the two continue to find inspiration in the place they call home and invest in the city’s growing arts scene to help others feel as welcome here as they did. 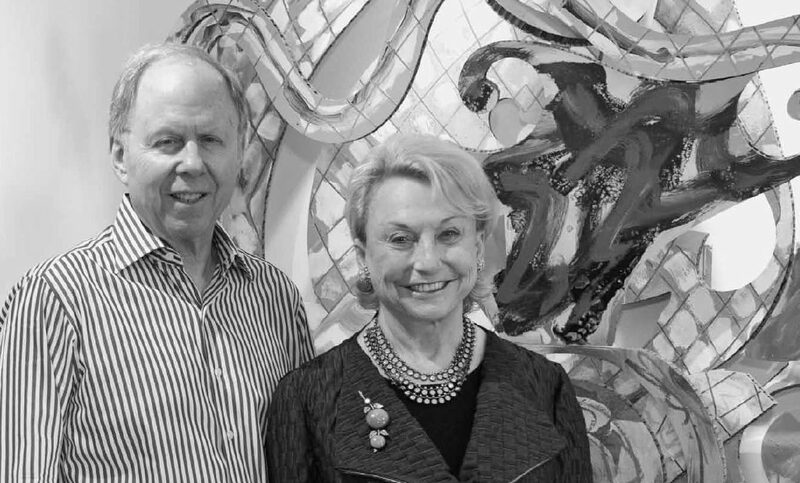 More recently, as longtime supporters of the arts, Bob and Dede established the Fund for New Ventures at The Miami Foundation that will provide New World Symphony with artistic risk capital for innovative, new programs. We sat down for a chat with Bob about why he and Dede chose to live in Miami, the causes they care about and the unique way they’ve chosen to champion homegrown creativity. You are originally from New York, what drove you to move to Miami? It is a metropolitan city with a diverse population located in a resort environment. The seeds of a vibrant cultural community that it has become were just starting to bloom. It was a place where we thought that we could make a contribution. 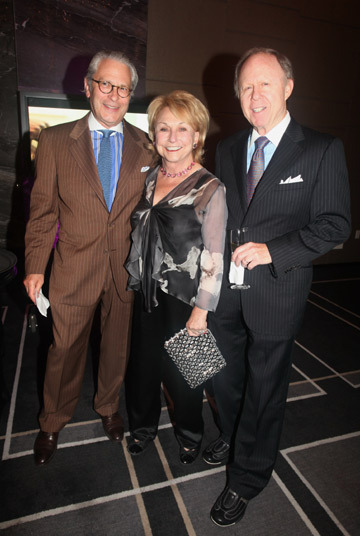 We established a donor advised fund at The Miami Foundation to manage our philanthropy. And what about New World Symphony, how did you get involved with them? Dede was on the board of Caramoor Center for Music and Art in Katonah, New York. Howard Herring, the current president and chief executive officer of New World Symphony (NWS), was the executive director of Caramoor at that time. We also knew Howard Frank who was then NWS’s chairman and a good friend and neighbor. They asked if Dede or I would like to join the NWS board of trustees. Dede was on the boards of the Museum of Contemporary Art and later the Pérez Art Museum Miami and had strong attachments to those institutions. I love classical music so I was happy to become involved. That was 2001 and I have served on the board ever since. What drove the decision to make a major gift now? I have always felt a tremendous sense of pride for NWS. I am proud of the fellows, the alumni, the board, and all of the people who have contributed to its success. When I joined the board, the symphony was performing at the old Lincoln Theatre. The fellows were rehearsing in stairwells and the lavatories – imagine that! Now, we have a beautiful campus and facilities, which are the envy of every symphony in the country. Ensembles and symphonies throughout the world seek after our graduates. We are a laboratory for performing, experiencing and learning classical music. Many orchestras throughout the world continue to view us as their research and development department. Hundreds of organizations have visited our new facilities to learn the NWS phenomenon. Lastly, up to 3,000 people a week can experience free access to classical music via our Wallcast in a beautiful outdoor park. The pride that I mentioned was what got us to think about a major gift. When arriving at the decision of when to give the gift we had to determine first a way to get the most out of the gift as possible. This required us to evaluate a number of needs. Once we determined which need we wanted to address we were ready to make our decision final. We came around to the idea of establishing The Fund for New Ventures to encourage the organization to continue to look at new ideas, new ways of operating, and new ways of experiencing music and learning. NWS has always been on the leading edge of early technology and thought leadership, and we thought a gift that would help that continue would be great. We worked with NWS, The Miami Foundation and attorneys from all parties to ensure the Fund’s legal compliance. The Foundation was also particularly thoughtful in making sure our donor intent was honored and that NWS’s needs and vision were realized. Let’s talk about the concept behind the gift; how will the new Fund work? The concept is creating an unbudgeted source of artistic risk capital, which is available to help keep new ideas alive, current and relevant. The gift launched the Fund for New Ventures at NWS. This concept came after discovering that new ideas were sometimes being deferred for lack of budgeted funds. Artistic risk capital is a source of funding, much like venture capital in banking. It is available on a limited basis for a specific purpose. And how will these ideas be vetted? Projects will be selected to receive investment from this Fund at the discretion of NWS’s co-founder and artistic director, president and CEO, executive vice-president and provost, and executive vice president for artistic operations. We want to make sure the ideas funded are within the guidelines of our criteria. They have to have lasting value and be worthwhile, either educationally or production wise, as well as realistic and achievable. Secondly, it cannot be an initiative that was started a year ago and that just needs a few more dollars to complete. These must be new ideas that, if it weren’t for this funding, wouldn’t be able to get off the ground. It is like critical seed money. The way it usually works is that when there’s a new idea, it’s not really launched until there’s money for it. You have to raise money first, then launch the idea. But, what if we didn’t need to do that? What if we could incentivize ideas and take them to fruition faster? The Fund for New Ventures would do just that. I wanted to take advantage of the resources that we have within NWS – the great technology and the innovation that stems out of there every day. We have a variety of brilliant people giving us all kinds of great ideas and I just thought, what if we could put a little juice under that and take an idea and turn it into a project? What would you like other potential donors to know about the Fund? That we’re hoping others will be interested in the concept and support it as well. That they can feel comfort in knowing we have a rigorous process and criteria through which we select the ideas that are funded and that we know what we’re doing when it comes to selecting what to support. If anyone is interested, they may contact Maureen O’Brien at NWS. What is it about supporting a symphony that moves you? My wife and I have long been supportive of many cultural and arts ventures. But, music is very special to me. I grew up in Cleveland, and when I was in elementary school, we had a program that took students to see the legendary George Zell conduct the Cleveland Orchestra. It was then that I became a fan of classical music, and I have never forgotten that experience. Betty Cortina-Weiss is a Miami-based journalist, storyteller and content producer. I can congratulate Bob and Dédé.